Welcome to the many new subscribers to TIPS and TOPICS (TNT). Just a reminder: there are 5 years of Back Issues you can read or download. 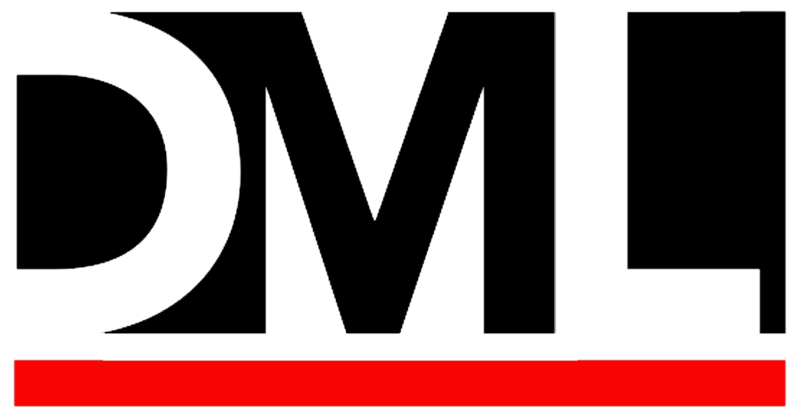 Simply click on “Read Back Issues” on the homepage of www.DMLMD.com. Coming soon – a revamped website with a Search function to search by topic. One of the advantages of speaking at National conferences is the opportunity to hear other stimulating presentations (for free!). This month I trained at the Idaho Conference on Alcohol and Drug Dependency in Boise. Laverne Hanes-Stevens, Ph.D., a senior consultant at Chestnut Health Systems, delivered a keynote on “Faith, Race and Culture: Building upon Social and Spiritual Supports in Treatment Planning”. Here are some nuggets of her wisdom that I share with you. Minority populations do not have the privilege of ignoring the salience of race, culture, appearance; when you are in a minority, certain behaviors and attitudes occur that don’t cross the mind of a person in the majority. Despite these shifts, the counseling force remains fairly homogeneous and does not reflect changing demographics. But faith, race and culture are not the only aspects that create opportunities for empathy, understanding and sensitivity to others. The pain of historical minority injustices is not to be diminished. However I got to thinking that there are however, more mundane yet often just as painful situations which affect our clients. Clients may have cultural or spiritual conflicts with the mental health and addiction models and concepts we present and teach. A Primary Disease where the focus should be on accepting the disease, doing something about it, not analyzing how and why the client became addicted. A Progressive Disease which will get worse if not intervened with. Thus clients and families should be embracing recovery sooner rather than later; they should not enable the disease to progress and to have the addicted person suffer longer. A Feeling Disease where substances are used to numb feelings or produce a high. A Progressive Disease – Some populations have been taught to tolerate problems, be strong, be private about problems, to “tough it out”. A Feeling Disease – Minorities who have had to survive victimization by being strong, have learned which feelings are safe and OK to feel and which are not. Appreciating the central cultural messages will increase empathy for how to deal with feelings. It is hard to tell a person to surrender, be powerless and let go, when their minority position has necessitated that they be strong and embrace any power they can to survive. If you are the majority race or culture, be aware of how a minority person may fear your judgment. A counselor in the majority naturally assumes that what they think and do is the norm. Therefore it’s easy for the helping professional to present concepts, values and strategies which may clash with what actually makes sense to the client. If/when such a client objects, either passively or obviously, a therapist may view this resistance as proof of the pathology of the disorder. Consider possible different views on mental health, addiction as a primary disease, attendance at AA, taking medication. Some clients see mental health problems as a moral weakness or punishment, because of their religious beliefs about sin and suffering. You may stress addiction as a primary disease. The client however may believe that societal social injustices have caused addiction. Your client is reluctant to attend Alcoholics Anonymous. Is the reluctance more than just “denial”? Could it be as much about the fact that AA is a predominantly white membership with messages that fit whites more than minorities? You may urge medication, emphasizing that addiction and mental illness are “brain diseases.” Be sensitive to clients who believe prayer and spiritual actions are the only answers. View differences in faith, culture and race as positive not negative. Have you created a therapeutic alliance and atmosphere where a client feels safe enough to disagree with you? Seeing differences as opportunities to create a richer treatment plan with the client – For example> What supports would be most meaningful to my client? Since my client values being strong and toughing things out, how can this be harnessed to support recovery, versus being seen as resistance to surrender? Larry Dewey, M.D. has been the chief of psychiatry at the Boise Veterans Administration Medical Center since 1984. For 25 years plus, he has treated combat veterans. In his keynote address, he shared his insights on “The Burden of Killing in Combat-Related PTSD”. He spoke of one World War II soldier who killed a Japanese enemy soldier. His biggest mistake, the soldier told Dr. Dewey, was to roll the dead Japanese soldier over, pull the wallet from the dead man’s pocket and open it. Inside he saw a photo of the Japanese wife and daughter, both about the same age as his own wife and child—-the biggest mistake—- because now the enemy was not a monster, but a family man just like him. With our soldiers returning from Iraq and Afghanistan, these kinds of stories will be repeated. We don’t have to go to war and return to relate to these tips for a meaningful life. Not bad advice for anyone. Q1. A provider asked me about application of the ASAM criteria to incarcerated individuals who are being evaluated for substance abuse and mental health services (usually at the beginning of their prison stay). She wondered if the ASAM criteria had been validated with this particular population. Q2. Can you provide some direction about level of care determination for persons who have be incarcerated (or otherwise in a controlled environment) for an extended period of time? There has not been direct research on incarcerated individuals with the ASAM PPC. However, there is no reason you can’t use them if clinicians assess the six dimensions appropriately. Assess, for example, Dimension 6, Recovery Environment. Explore what your client’s life and environment was like prior to incarceration. For example- Were friends using? Did he only work as a drug dealer? Did he live with his partners in crime? If so, his environment would not have been supportive to recovery. These will be the issues (relationship, vocational, skill-sets) that he will need to work on. You do the assessment in the present tense, as you are trying to assess what the person continues to need for treatment while incarcerated. Even though a person is in prison, to some extent he can still obtain drugs. So the assessment questions reside in Dimension 5, Relapse, Continued Use, Continued Problem Potential. Explore with your client –> how easy or hard it is to refuse drugs even while incarcerated; –> how he/she will handle cravings to use even though access to drugs may not be quite as easy as being on the outside; –>what his/her attitudes are towards AA/NA and relapse prevention strategies. Similarly for Dimension 6, Recovery Environment. Unhelpful, unsupportive people exist in prison -just like friends and influences on the outside. Dimension 6 questions center around how they’re dealing with those unsupportive people in prison as well. You would assess the six ASAM dimensions with respect to the person’s level of stability and function you anticipate they¡¦d have in the community upon their release. Again assess Dimension 6, Recovery Environment. Gauge what it will be like out there upon release from jail, not what it is like now in the prison. The continuing care plan must address action steps around living situation, friends, work, finances etc. –> if he plans to live with his partners in crime, then that environment would not support recovery. –> if there is no established relationship with AA or support systems, the Dimension 5 relapse potential would be high severity, even though he may not be using now due to the structure and confines of jail. Thanks for joining us. See you in June.